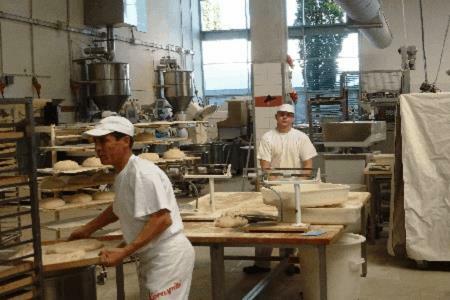 Baked goods manufacturers and processors are facing increasing business pressures. Fluctuating commodity and freight costs have put added pressure on managing gross margins, more so than the common food processor. Running a profitable business has become more challenging than ever. Integrated EDI and Web based Order Management. Item Charges to help track freight surcharges, commodity surcharges, commissions, rebates and price discounts. Product Costing to help deal with fluctuating commodity costs allowing you to respond to pricing changes quickly. A full R&D module to manage sales order, comparing day-over-day, week-over-week, or month-over-month, item by item. Integrate customer forecasts into ual inventory gives you a handle on key metrics like inventory turns and expiry analysis. Stales reporting provide immediate data on over production. Production and Shop Floor Reporting to capture consumption and production output in real-time on the floor. Analyze shift or line efficiency when the information is relevant. Full planning engine takes the guesswork out of purchasing decisions. Dynamic Route Management to manage shipments by full truck loads, or for route based environments. Route management planning supports dynamic route changes based on order demand. Quality Management module supports key quality assurance initiatives including HACCP, SQF, GMP, and more.